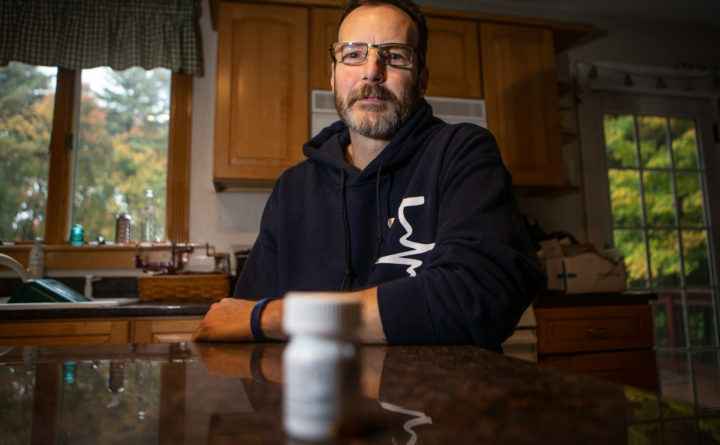 Rob Leighton of Westbrook takes six pills at a time in a clinical drug trial to treat his cancer. Rob Leighton’s colon cancer had persisted through a barrage of treatments when his doctor suggested a new test. The Westbrook man had already undergone the standard treatments following his diagnosis in March 2016: surgery, radiation, chemotherapy and even immunotherapy, a newer generation of treatment that boosts the immune system’s ability to fight cancer cells. Still, the tumors continued to grow, and had spread from Leighton’s colon to his liver and lungs. “I was pretty much running out of options,” Leighton said. His oncologist asked if he wanted to try another approach. Rather than treating his type of cancer, they could try to treat his individual cancer. As with any other patient with that form of the disease, the dangerous cells metastasizing in his body had originated in his colon. But the DNA within those cells had mutated in ways particular to Leighton, ways that might make his cancer susceptible to special drugs. If Leighton and his physician could pinpoint the unique combination of genetic mutations in his tumors, a type of molecular signature, they could then attempt to exploit them to kill his cancer cells. They took a tiny sample of his cancerous tissue from a previous procedure and sent it off to be analyzed. And with that, Leighton began participating in a statewide initiative to expand access to the testing, known as genomic testing or molecular profiling. The Maine Cancer Genomics Initiative, spearheaded two years ago by The Jackson Laboratory and supported by a more than $8 million donation from the Harold Alfond Foundation, has now enrolled more than 300 patients from hospitals and private practices across the state. Beyond the testing, the initiative links patients with clinical trials and other personalized treatment options. It’s also building a network of cancer clinicians throughout Maine and giving them access to the latest in cancer research. Ultimately, the ambitious initiative aims to help change how cancer is diagnosed and treated in Maine, deploying Jackson Lab’s research to even rural areas of the state with hopes of bringing patients the most promising treatments. The initiative carries high stakes in Maine, where an estimated 8,600 new cases of cancer are expected to be diagnosed in 2018 and where cancer is the number one cause of death among adults, claiming lives at a higher rate than most other states. It’s too early to say whether the effort has saved lives, and skeptics of this type of “precision medicine” argue that its limited successes have been overblown. But the initiative is bringing a new frontier in cancer treatment to corners of Maine that might have waited years for it otherwise, and at virtually no cost to patients. Rob Leighton of Westbrook takes six pills at a time in a clinical drug trial to treat his individual cancer, rather than his type of cancer. For decades, treatment of cancer has followed at least one of several routes: Cut it out with surgery, zap it with radiation, or blast the body with chemotherapy drugs to kill the cancer while hoping healthy cells recover. Newer approaches include immunotherapy, but for many patients these three treatments have represented the standard of care. Now, clinicians can mine each patient’s genetic profile for information to help customize their treatment. Patients enrolled in the Maine Cancer Genomics Initiative are tested for more than 150 cancer-related genes that Jackson Lab has identified as “clinically actionable,” or those that doctors can potentially do something about. Any mutations that turn up in the test are run through the lab’s database, which spits out information about potential therapies or clinical trials matching that particular mutation. The results are then returned to the oncologist in a report two to three weeks later. “This is basically a way to understand better what the patient’s individual cancer consists of,” said Christopher Darus, director of research in gynecologic oncology at Maine Medical Center. Think of it this way, he said: The world’s most complex machine is broken, and you need to fix it. To do that, you must know its inner workings. “The cancer cell is way more complex than any machine we have,” said Darus, a member of the Maine Cancer Genomic Initiative’s steering committee. Darus’ practice, along with another gynecologic oncology group at Biddeford’s Southern Maine Medical Center and a neuro-oncologist at Maine Medical Center, has enrolled 95 patients in the initiative, the most of any single site. The program is open to any patient with solid tumors, such as lung, breast and prostate cancer, but excluding those with leukemia. Many patients enrolled in the program have already tried the standard treatments, such as chemo and radiation, and are no longer responding or can’t tolerate the effects, Darus said. “It doesn’t change or take away our standard treatments. It just gives us other options,” he said. The testing, which can cost from $2,000 to $5,000 per test, is covered by the Alfond grant. By participating, patients agree to be part of a research study, providing feedback about their experience though surveys. Their oncologists are part of the study, too, filling out questionnaires about how the testing affects their decision-making in treating patients. 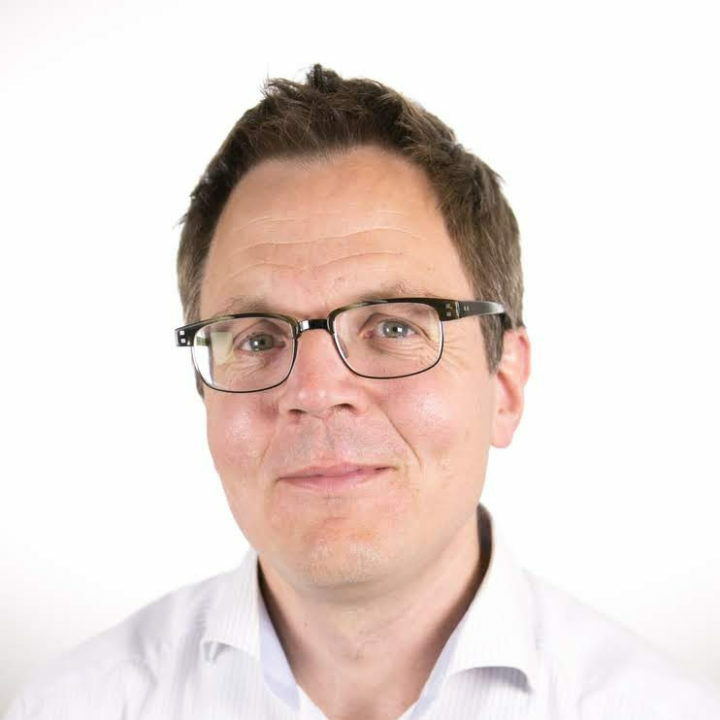 Nearly 90 percent of the roughly 60 oncologists practicing in Maine have enrolled as study subjects themselves, with at least half also having patients enrolled, said Jens Rueter, medical director of the Maine Cancer Genomics Initiative. The clinicians represent every health system in the state and nearly every oncology practice, he said, forming a collaborative network that also benefits from regular communication with leaders in oncology research. Doctors in rural Maine can consult remotely with experts — from hospitals including Dana-Farber Cancer Institute in Boston and MD Anderson in Texas — about their patients’ medical conditions and treatment options. “When you’re out here in the trenches in the community, it’s hard to keep up. The amount of data that’s coming out is unbelievable,” said Allan Espinosa, an oncologist and hematologist at Cary Medical Center in Caribou. “We get access to world-leading researchers on specific cancers … that are able to share their views on how to treat patients. It applies directly to your patients, and at the same time it helps us keep up with what’s going on,” Espinosa said. Jackson Lab also hosts an annual forum that brings clinicians together in person, which one longtime oncologist said was the first of its kind to do so irrespective of which health system they work for, Rueter said. In addition to the Alfond grant, Jackson Lab has made a “substantial” investment in the initiative, though lab officials declined to specify the amount. It aims to enroll at least 1,800 patients, with no firm end date. Rueter is looking ahead well beyond that date. He views the initiative as a unique model, with Jackson Lab, a biomedical institution, leading the way rather than a health care provider, and bringing a type of treatment typically available at the nation’s largest medical centers to patients in rural Maine, he said. Those rural communities, as well as those in more populated parts of Maine, in turn, help to direct research at the lab through their feedback about its genomic testing offerings. That infrastructure could potentially be leveraged to make genomic testing more widely available, not only to cancer patients, but those with other diseases as well, Rueter said. “The shorter the transition time from lab experiment to actual treatment in the patient, the better,” he said. Rob Leighton’s test results came back from the Jackson Lab in about a month. He was lucky on two fronts: The lab identified a genetic mutation in his cancer sample, and the mutation matched one that’s the target of a clinical trial under way at Dana-Farber in Boston. In August, Leighton began the treatment. Twice a day, he takes six small, round pills of an experimental drug called Tucantinib. And every three weeks, he travels to Dana Farber for an infusion of an intravenous drug that’s FDA-approved for breast cancer, but has shown promise in other clinical trials against the genetic mutation found in his colon cancer. In early October, Leighton received his first scan after beginning the treatment. 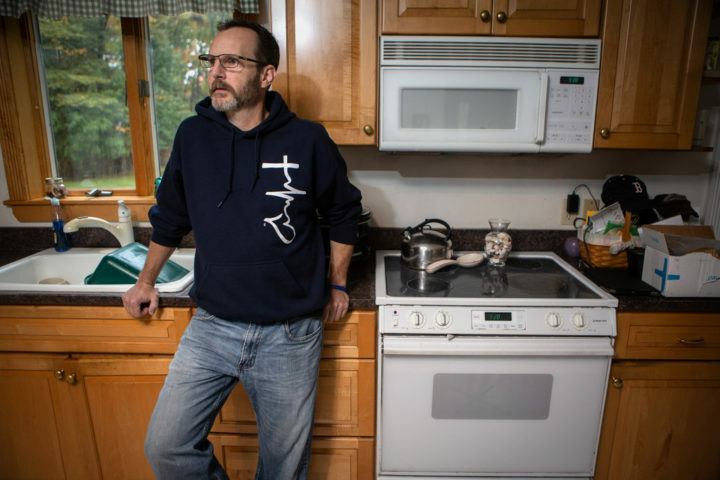 Standing in his kitchen, Rob Leighton of Westbrook talks about the clinical drug trial he's taking part in to try and treat his colon cancer. It's already spread to other organs. “Everything shrunk, the tumors in my lungs, the tumors in my liver, and I had a couple lymph nodes that were cancerous, and those have shrunk, too,” Leighton said. He’s feeling well, though he remains on an extended break from his job as a manager at a supermarket chain. Leighton’s cautious optimism is well warranted. Patients who see early success in clinical trials can take a turn for the worse, if their disease progresses again or they can’t tolerate the side effects of the treatment. And despite its name, “precision medicine” is often an imprecise endeavor. As tumors grow, they continue to accumulate genetic mutations, making it difficult for doctors to distinguish which ones are “targetable,” or harmful and potentially treatable with drugs. A treatment that works one day might stop working weeks or months down the road. Many patients get the testing only to have it turn up no targetable mutations at all. Precision medicine often misses the target, with the number of patients dying from cancer despite such testing “still vastly outnumber[ing] the rare successes,” Liz Szabo, a senior correspondent for Kaiser Health News, wrote in a recent analysis of the field. Experts estimate that the percentage of people with advanced cancer who are eligible for such genetic testing ranges from just 9 percent to 15 percent, she noted. At a recent meeting of the American Society of Clinical Oncology, researchers presented four studies on precision medicine, with two representing total failures, and the others failing to shrink tumors 92 percent and 95 percent of the time, Szabo wrote. Patients enrolled in the Maine Cancer Genomic Initiative are somewhat shielded from the costs, thanks to the Alfond grant covering the expensive testing. 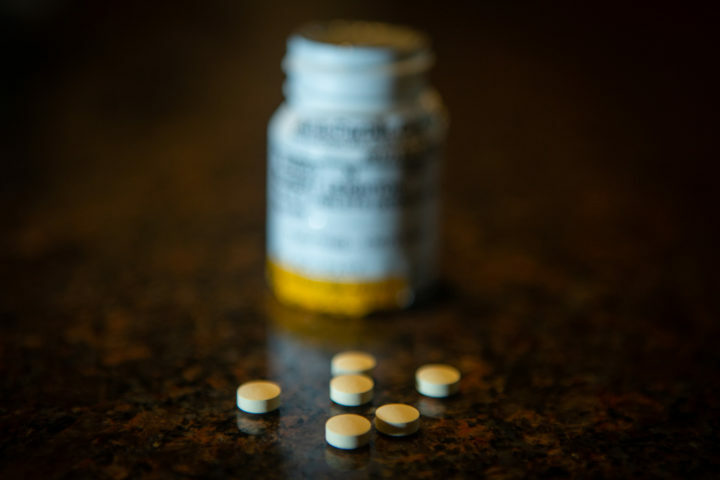 And while clinical trial drugs are typically provided at no expense, patients are still responsible for the costs of scans, blood work, and doctor’s appointments. Leighton’s wife works as an operating room nurse for Mercy Hospital in Portland, where his oncologist also is employed, so much of his treatment has been in-network through his insurer and relatively affordable, he said. But other patients struggle with the expense. “Our office spends a lot of time fighting for the patients to get this covered,” Darus of Maine Medical Center said. With every patient and every doctor that the Maine Cancer Genomics Initiative enrolls comes more information. Each time the Jackson Lab analyzes another tumor sample, the odds of finding genetic mutations that can be treated with special drugs potentially inches a little higher. As the database grows more robust, Rueter hopes the initiative will help researchers to identify more genetic variants with treatments not yet approved by the FDA. Even learning more about which mutations are harmful, regardless of whether they can be treated, would represent progress, Darus said. Oncologists sometimes run into the “frustrating situation” of getting a report back that states a patient’s tumor has a “variant of uncertain significance,” he said. Basically, the lab has identified a mutation but can’t determine whether it’s deleterious. With thousands of potential mutations occurring in the genes, some mutations might be incidental, and of no real concern to the patient. “Part of this is to get this information so we can continue to learn and continue to look for targets for these cancers,” Darus said. Rueter, who also treats patients at his practice in the Bangor area as he leads the initiative, continues to search for additional funding for the program. “It’s not a typical health care or research investment. It’s somewhere in between,” he said. Rueter hopes that a decade from now the initiative will have verifiably saved or extended the lives of patients across the state. Rob Leighton has his sights set on a much closer horizon. He’s due for the next CT scan of his tumors right around Christmas. This is the third piece in an ongoing look at the prevalence of cancer in Maine, which is the No. 1 cause of death among adults in the state. The first piece explored high rates of cancer among Maine children, and the second looked at the transportation burden many patients face. If you have an idea for a story, contact Jackie Farwell at jfarwell@bangordailynews.com.